The trial of a Cavan child-minder accused of causing serious harm to a baby has heard the infant had fractured ribs when she was admitted to hospital for seizures. On the second day of the trial of Sandra Higgins (37), consultant paediatrician Dr Christopher Hobbs read from hospital reports detailing the baby's injuries. These included brain haemorrhages, facial bruising, detached retinas and rib fractures. Dr Hobbs, a UK expert in physical signs of child abuse, told the jury that a radiologist's report showed rib fractures on both of the baby's sides that could have been at least seven to ten days old. 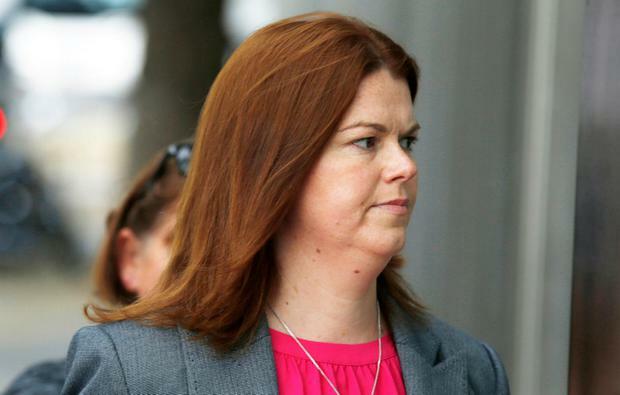 Ms Higgins of The Beeches, Drumgola Wood, Cavan, has pleaded not guilty to intentionally or recklessly causing serious harm to the 10-month-old baby at the accused's home on March 28, 2012. Dr Hobbs told Kerida Naidoo SC, prosecuting, that he had been asked for his expert opinion in the investigation. Reading from medical records furnished to him, he said the baby's mother told doctors that Ms Higgins informed her the child had fallen and vomited in early March 2012, while in her care. He said the mother told doctors she had noticed a large bruise under the little girl's left eye on that occasion. The mother added that she noticed more bruises on the baby on subsequent dates and that she began seeking alternative childminding. Dr Hobbs said from the notes, the baby's mother stated that Ms Higgins had given explanations for the bruises, including the child falling over and bumping her head on toys. The doctor said the records showed the baby was brought to Cavan General Hospital A&E unconscious and “pale and floppy”, with bruising on her face and body. He said she was transferred to Temple Street Children's Hospital in Dublin two days later, where she continued having seizures. Referring to photographs taken by doctors at Cavan General Hospital, Dr Hobbs highlighted the bruising he confirmed were visible on the child's body. He pointed out a number of small circular bruises on a photo of the baby's back, saying these looked like “fingertip bruises” because they were small and clustered. The trial, which is scheduled to last for three weeks, continues before Judge Pauline Codd and a jury of five women and seven men.